Your hosts, Derick & Elma Noble, have been providing quality Bed & Breakfast Accommodation at their home on the edge of Enniskillen town for many years. Their experience and success as hosts ensures everyone staying at their charming Bed & Breakfast are met with a friendly welcome, comfortable rooms, good food and a wealth of local knowledge to help you make the most of your visit to County Fermanagh. 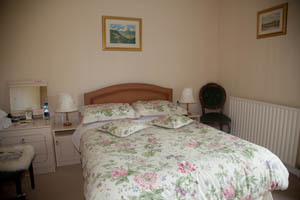 At Lackaboy House Bed & Breakfast the warm atmosphere of a country family home is very much in evidence. Elma’s home baking is on offer with a cup of tea or coffee on arrival – the perfect way to settle in after your journey. Close by is Squires Restaurant, Enniskillen offering a superb range of bar food & A’ la Carte menu, with a varied range of succulent dishes prepared from fresh local produce – ideal for Lunches, Evening Meals and Entertainment. Lackaboy House Bed & Breakfast has six guest bedrooms available. Two of these rooms, a twin room and a single room, are located on the ground floor. All bedrooms have spacious en-suite bathroom facilities – WC, hand-basin and shower – and there is a separate bathroom with bath also available. The remaining four bedrooms are located upstairs. 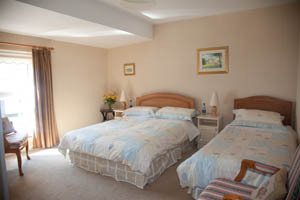 There are two single rooms, a double room and a spacious triple room which is ideal for families. There are no single supplement charges for guests occupying a single room – particularly useful for business travellers. From traffic lights opposite Tesco follow Tempo Road B80 for approx 0.75 miles and after roundabout branch left on to Old Tempo Road. Lackaboy House is 0.5 miles from this junction.